We will be painting this Valentines Date Night Diptych painting. 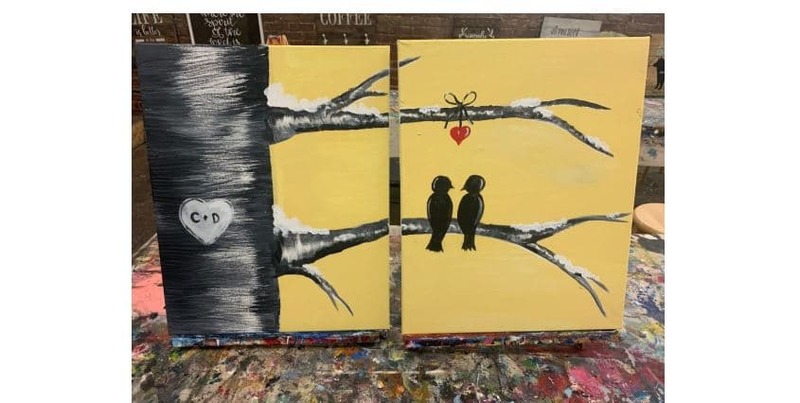 It is a diptych, so you and your partner can each paint half of the image on your own canvas and then hang them together! Two painters + Two glasses of house wine or house beers for only $78! Our instructors will guide you through your painting in a relaxed, fun atmosphere.